Sardonyx was the original August birthstone before the other two gemstones joined the party. 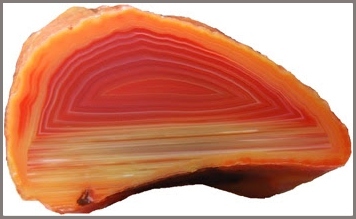 This gemstone combines alternating layers of sard and onyx; two types of the layered mineral chalcedony to create a reddish orange stone with white bands. Sardonyxes found in India are the finest examples of this gemstone with sharp contrast between the layers. Sardonyx is a relatively soft gemstone, coming in at a 6.5 on the Mohs hardness scale. Jewelers throughout history have used this softness to their advantage and carved many cameos out of this gemstone. Although, you may never have heard of this beauty, sardonyx has been around for centuries. Its first recorded appearance in history was some 4000 years ago during the Second Dynasty of Egypt. Ancient Greeks and Romans went into battle wearing sardonyx talismans engraved with images of their gods and heroes. They believed this gemstone could harness the powers of their idols and grant them bravery, courage and victory on the battlefield. Sardonyx was, also, a popular stone for Roman seals and signet rings used to imprint emblems on official documents. This is due to the fact that wax does not stick to the stone. Peridot - "The Gem of the Sun"
Peridot was the second gemstone to join the August birthstone bandwagon. It is a 6.5-7 on the Mohs scale of hardness and is the rare gem quality variety of the common mineral olivine. Peridot's signature color comes from the mineral itself, not from trace impurities as is the case with most other gemstones. That is why peridot is one of the few gemstones to come in only one color. However, the color may vary from a yellowish green to a brownish green depending on how much iron is found within the gemstone. In Arizona, on the San Carlos Apache Reservation is the world's most productive deposit of peridot. It is estimated that 80-95% of the world's supply is found there. Some Peridot is really, really old, like some 4.5 billion years old and is remnants of our solar system's birth. Consequently, a robotic space probe found peridot in comet dust in 2005. Peridot found here on Earth, forms deep within the Earth's mantle and then brought to the surface by volcanic activity. Peridot jewelry dates back as far as the second millennium BC. 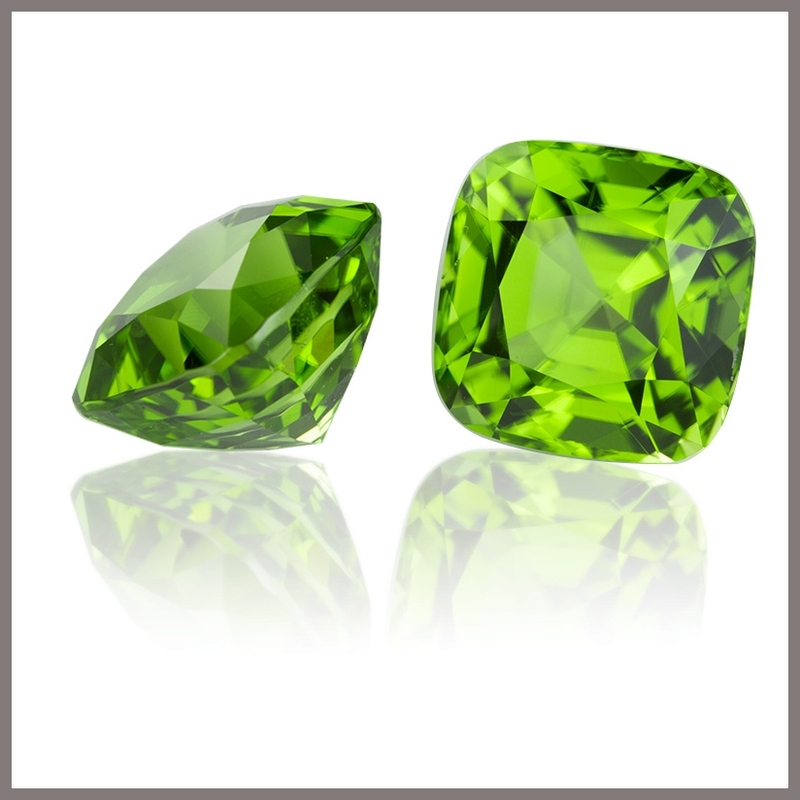 Ancient Egyptians called peridot the "gem of the sun", believing it would protect the wearer from nightmares. In 2016, Spinel was added to the list of August birthstones. It is a relatively hard gemstone ranking an 8 on the Mohs Hardness scale. Spinel comes in almost all the colors of the rainbow except green. However, bright red, cobalt blue, vivid pink and orange are the most sought after and valued colors. For centuries this gemstone has masqueraded as other gemstones, particularly rubies. Some of the most famous rubies in history have turned out to be spinel. The famous 14th century "Black Prince's Ruby" and the "Timur ruby" in the British Crown Jewels of England have been confirmed to be large red spinel.